By Amanda of Disney’s Cheapskate Princess. Christmas will soon be here, and what is the one thing almost all Disney Princesses love? Jewelry! 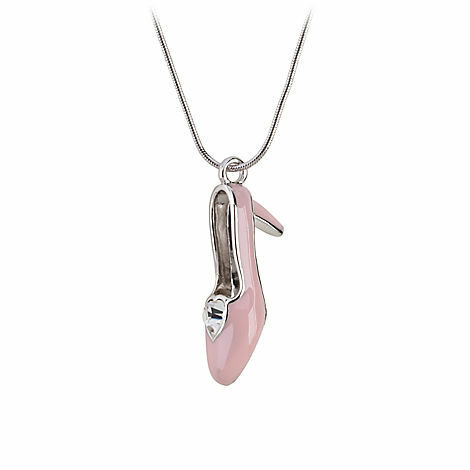 If you can’t make it to Disney for the holidays, then just take a peak at five of the fabulous jewelry pieces available online at the Disneystore.com. 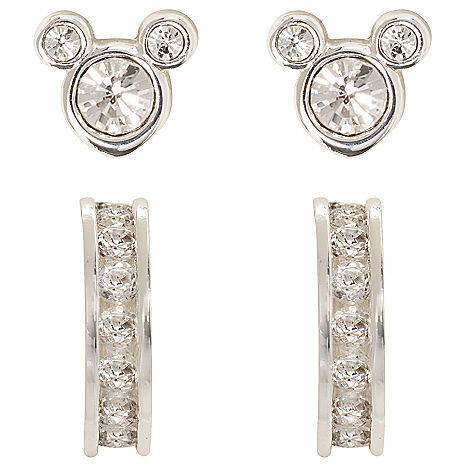 These Mickey Mouse Icon Earrings give your princess a reason to celebrate every day of the year. With an anti-tarnish finish, these ear rings are $14.95 before shipping. 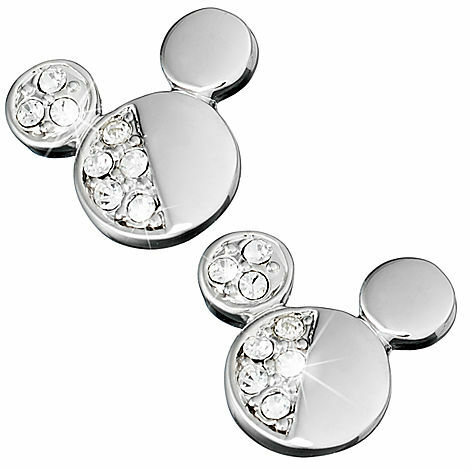 These Mickey Mouse ear rings feature one half sparkling Swarovski crystals and the other a polished smooth finish, and they are $19.95 before shipping. 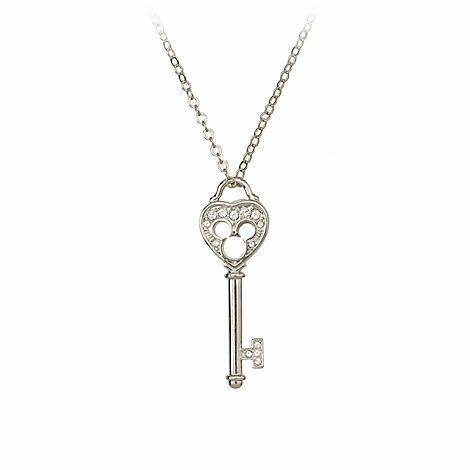 This elegant key pendant features the famed Mickey icon cutout within a sparkling heart-shaped setting of Swarovski crystals, and it sells for $35.00 before shipping. Designed by Arribas Brothers, this elegant enamel slipper is accented with a heart of clear Swarovski crystal so your princess will…sparkle like a princess! This necklace sells for $25 before shipping. This sparkling Mickey Mouse ear-ring set features Mickey ear rings adorned with crystals and cubic zirconia studded half-hoops. These stunning silver earrings can be worn separately or together, with a combined price of $34.95 before shipping. ← Great Gift for the Frozen Fan! Anna AND Elsa Dress Up Trunk! On sale!